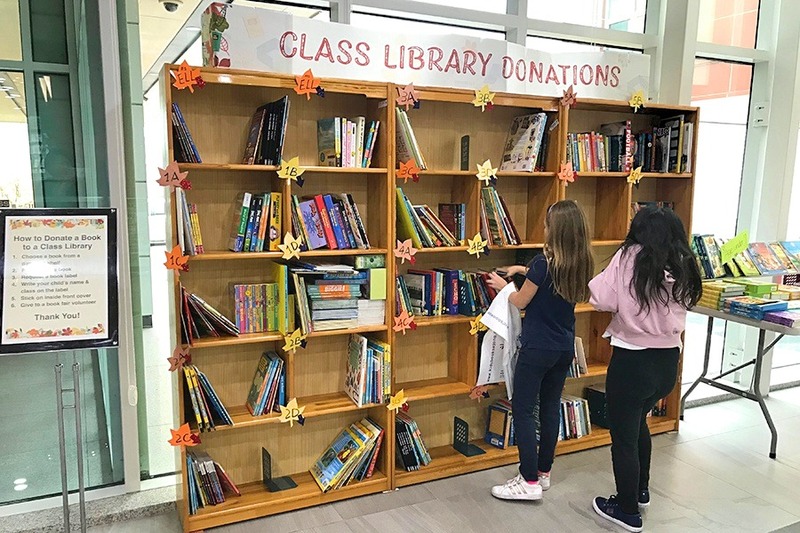 Although there are many reasons to love the fall season, for the YISS community, many look forward to November because of the annual Fall Book Fair. 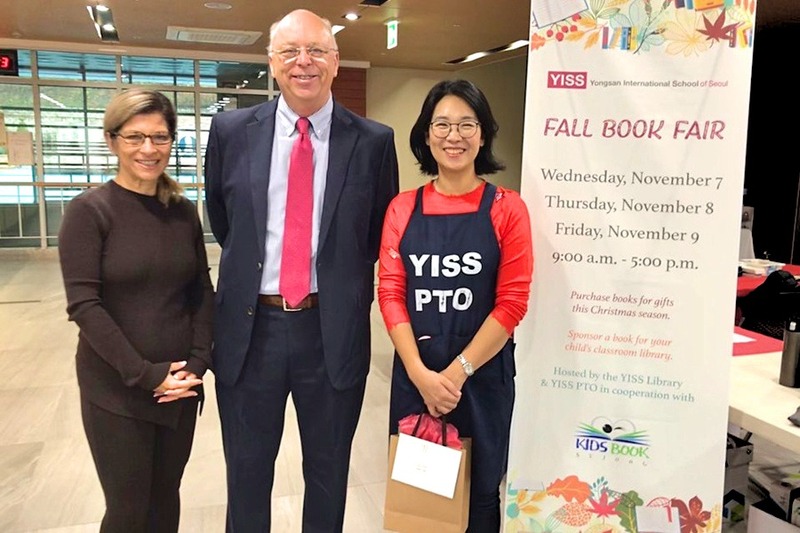 The YISS PTO and the YISS Libraries hosted the book fair in partnership with book vendors Kids Books Sejong and Word of Life from November 7-9 in the YISS main lobby. 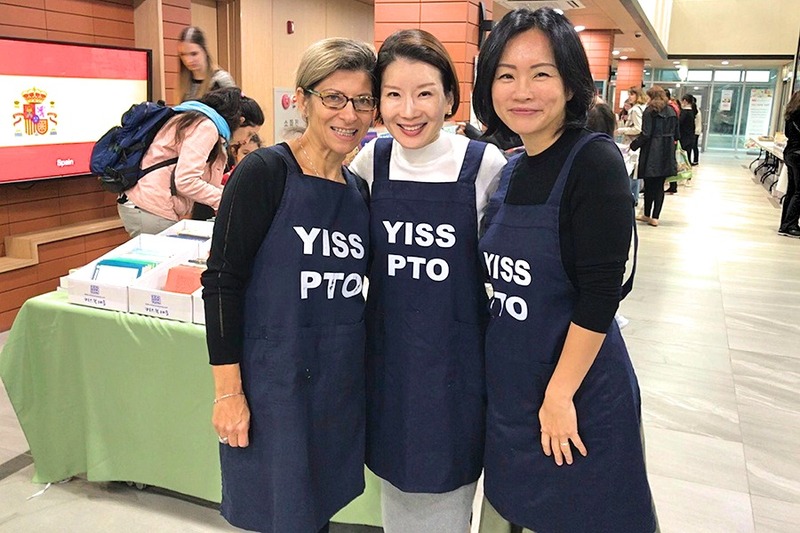 Students, parents, teachers, and staff had a great time perusing this year’s fantastic selection and this was reflected in the sales for the three-day event totaling over 45 million won. Ten percent of the sales were donated to the YISS PTO, which uses the proceeds to support different reading initiatives, such as new books for the YISS libraries and classroom libraries, support for author visits, as well as funding the ES Read-A-Thon and the MS Reading Appreciation Program. Thanks to the generosity of many parents and our PTO, there were a total of 333 books donated to classroom libraries and 90 books donated to the YISS libraries as a result of Fall Book. Book fair staff and parent volunteers enjoyed seeing how excited students were to visit the book fair. 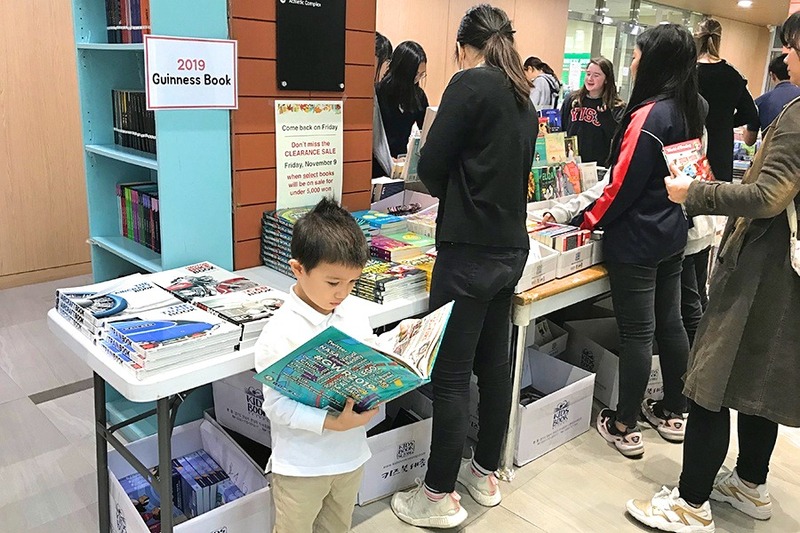 YISS loves how book fairs help generate excitement about books and encourage our students to expand their understanding of the world through books. Our gratitude goes to everyone who visited the Fall Book Fair and those who generously donated books for classroom libraries. Our heartfelt thanks to Fall Book Fair Committee members Sue Park, Roxana McLaughlin, Colleen Dwight, and Marjorie Kennedy and their team of parent volunteers for their invaluable role in helping students find books and facilitating classroom library donations to make it a great event to support literacy in the YISS community!